I was sooo impressed by Keaolani. I received a lot of compliments about you from my friends. 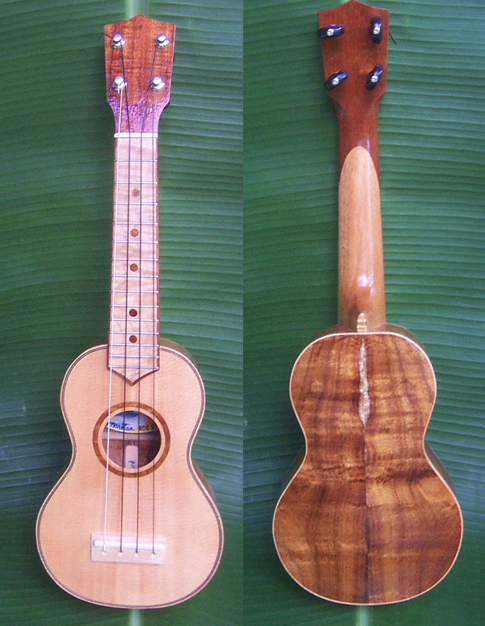 All the women of Keaolani play Blue Maui 'ukulele and use Ko'olau Gold strings. 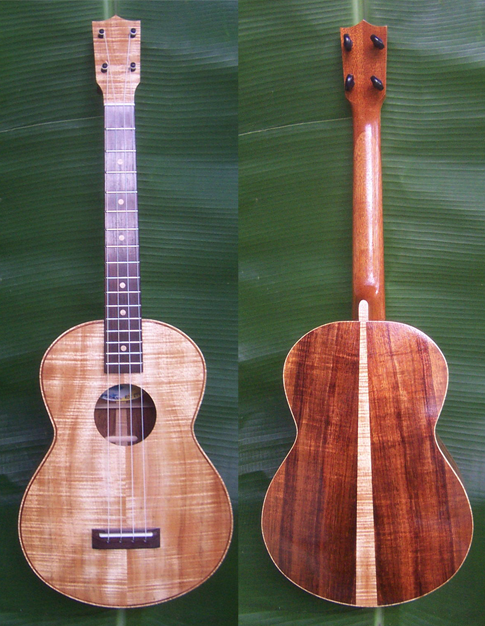 Each one was hand made specially for us by Maui luthier Colly Norman. He's a joy to work with, and we highly recommend his instruments. Colly doesn't have his own website yet, so we're displaying some of his work here until he does. 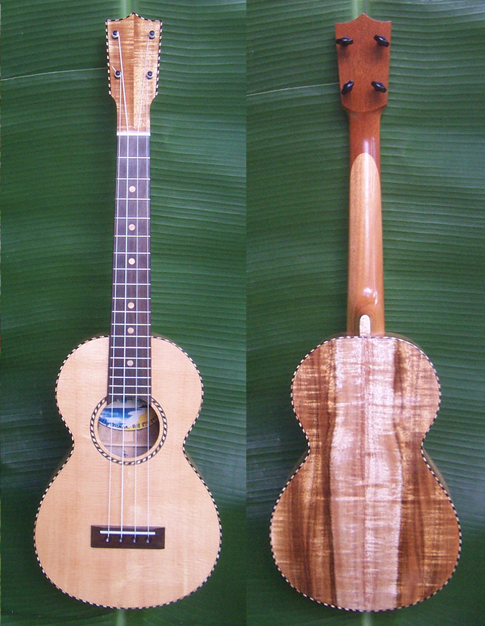 He makes 'ukulele of all sizes, and with a variety of beautiful woods, in his Kihei, Maui studio, and each one is a unique work of art. 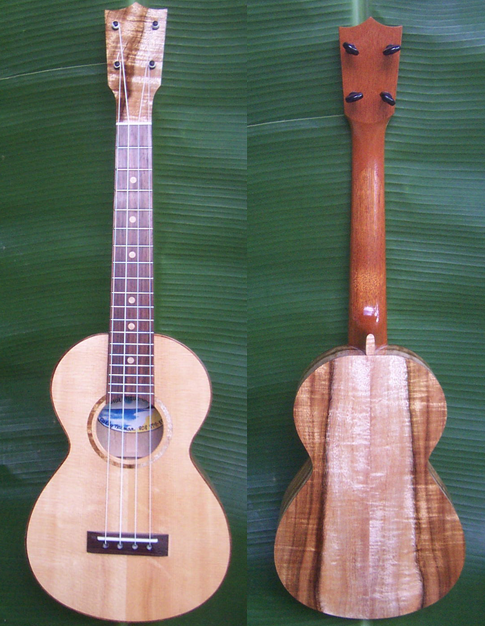 At this time, the photos of Keaolani do not show us with our Blue Maui 'ukulele, because we didn't take possession of them until last Fall. But here are some examples of Colly's beautiful work. We love his simplicity of design, and his amazing planetary pegs that look like ebony pegs of years gone by but have the great gearing mechanism that makes it so easy to tune. Made in Argentina, assembled in Hawai'i. Highly polished nylon trebles and silver wound bass stings produce clean tone performance and clear studio reproduction...99.7% perfect pitch and intonation.